Do you know what colour I haven't used for awhile? Wisteria Wonder! She was lying there, forgotten in my Colour Caddy, sniffling a little when I found her. She gave me a hint that she goes really well with Mint Macaron, I colour I've been using a lot, so I thought she deserved some air time! 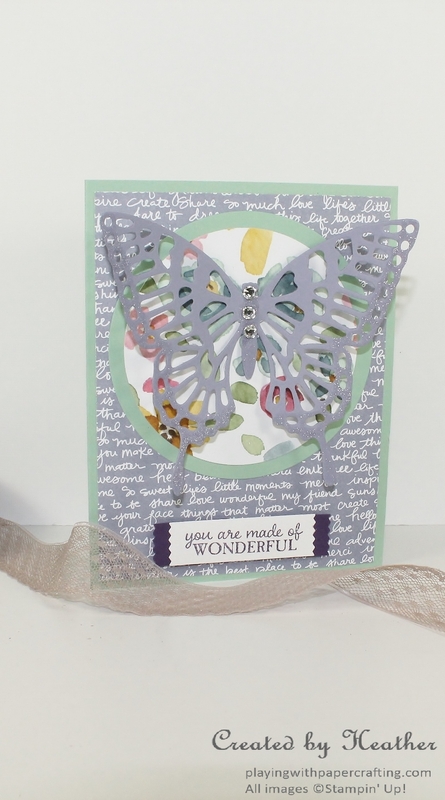 This is a second card for my February Technique Nights which features Intricate Dies and the Big Shot Die Brush, and I wanted to use some of our older intricate dies to show my customers how much use they will get out of the brush. Don't you love the soft look of the Mint Macaron and the Wisteria Wonder together? I don't know why I didn't think of this combination before now. The Designer Series Paper you see in the middle is from the English Garden Designer Series. 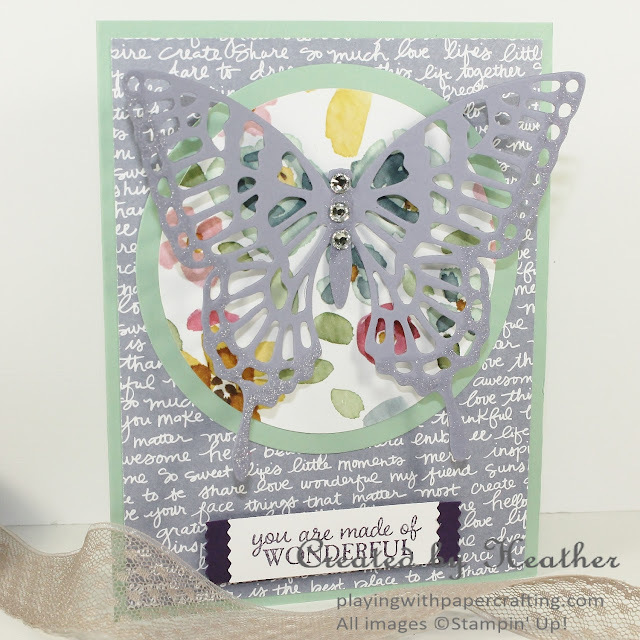 The background DSP is from the Subtles Designer Series Paper Stack in Wisteria Wonder. 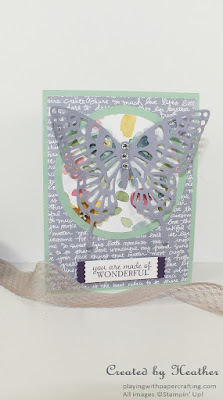 I used the Butterflies Thinlits to die cut the big butterfly. I added some clear Wink of Stella to the edges of the wings. You can just see the glitter in this photo. The sentiment is from the Picture Perfect Stamp set and is so appropriate for this card. 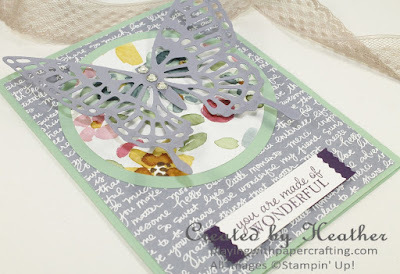 I stamped it in Elegant Eggplant and punched it out with the Washi Label Punch. I punched out a second one from Elegant Eggplant cardstock, cut it in half and adhered to each end of the sentiment.